There is no perfect code, whilst too many ways to write bad code. Even clean code will start to smell over time. The more the functionalities, the complexity and the number of different programmers working on it will make it smell. Healthy code requires incremental improvements, and reviews to stay that way. Would you also like to make more money as a programmer by being better at it? Discover the job-changing experience that you need. Sure enough, you might perform long searches on the web to try to put it all together. But why should you waste your time when you can have 15+ years of experience condensed into a single book? You can continue doing what you are doing. But let’s be frank, you won't have read up to this point if you wanted it. You are here because you believe you can have a better career by being a good programmer. It’s very tough to self-learn without the shared experience and guidance provided into this book. This book will walk through different approaches, reasoning why they are good or bad, as well as providing some clarifying examples (mainly Python). The book is broken down into different areas ranging from design and good coding practices to performances and security. A checklist ends all the chapters to help you during the code review process of your projects. We are not here to talk about theoretical mumbo jumbo. We are going to talk about practical guidance. And it is our duty - as professionals - to code in the best possible way. Is it not?! 1. If you are looking for an entire encyclopedia on data structures, software architectures, and any possible software engineering facets: this book is not for you. Certain concepts in the book are in pills: it provides just the core information that can assist you in doing better choices. This book is not made to impress you, it is made to help you out. To be handy and on point. 2. It is not a Python programming book. Nor a programming book per se either. It is meant to help in writing better code by looking at it from several angles. 3. This book is not boring. If you are looking for endless mechanical chapters, wrong choice. Let’s add some fun, life is too short. 4. If your heart as a programmer is too sensible on how bad code can be, please stop. I care about you, seriously. Or at least, read with caution, don’t stress too much: there are other wonderful things in the world! 5. And if you get upset identifying bad things that you did... no worries every single programmer on earth has been there! This book is aimed at people with at least some experience with programming in some sort of language: C, C++, Java, Python. It could be easier for Object Oriented programming cowboys and cowgirls to go through the book, but a lot of concepts discussed in the book are general enough to be the foundations of good coding. Some more advanced chapters - like **_concurrency_** and **_security_** - might require some more focus to make your own if you are fairly new to them. But, no worries, keep going, it will be rewarding and it will give you the right tools to be at the top of your game. 1. Passionate programmers willing to go the extra mile and be better at their jobs. You will be happier, better paid and with a easier life. 2. People who just started to program: this book will power up your programming skills. It will avoid you all the avoidable errors. 3. Software engineers of all kinds. Knowing a programming language is not enough to be good at it. And I am sure you are or you will be a really good one. 4. 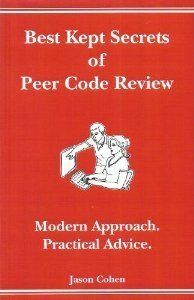 More experienced IT people in search for a quick guide on how to review code. But at the end of the day, I hope you’ll enjoy it! Giuliana is a professional with 5+ years of experience in the Information Security field. 15+ years since she started programming and 2+ into project management. Her whole career has been driven by two key factors: curiosity and creativity. She buys the idea of building code that people (including your colleagues) will love.